Dakota and Lakota decoration often use the symbol of spider or spider’s web. It is believed that any warrior adorned with spider symbol is invincible to arrows and bullets. Just as the arrow or bullet can pass through a spider’s web, leaving it relatively intact, it was believed that the projectile would pass through the brave warrior and leave him unharmed. Also, since the spider’s web is difficult to see unless it is wet, the wearer of spider symbol is given a type of invisibility. In Lakota mythology, spider is both feared and revered. On one side – fear – the trickster is transformed from one-time god of wisdom. On the other side – reverence – Iktomi is credited with giving all creatures their names, shapes, personality and identity. Since he ran out of names before naming himself, he ended up as spider. For some, spider’s legs represent the four winds of change and the four directions on the medicine wheel. Other tribes credit the gift of fire to spider. In southwestern America, spider was the creator goddess and weaving was an honored art. Spider was also credited with giving humanity the first alphabet; writing was equated with feminine wisdom. The Victorian view was more pragmatic, seeing the fly-eating spider as a part of the animal economy. In Hindu, spider sitting in its web watching till its prey is entangled represents being caught in the illusion of the physical world. In Russian legend, spider is blessed – humanity was saved by driving plague insects into spider’s web. Despite their diversity, all spiders have the eight fragile legs. Spider bodies are split into two sections. Most, but not all, are weavers. Spider habitats include a wide range of environments. They can be found just about anywhere. 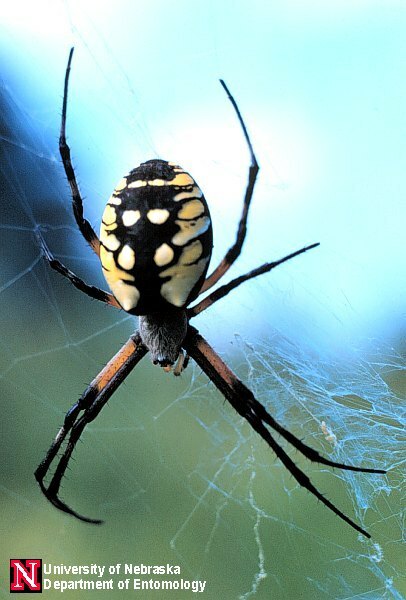 All spiders are predatory and nearly all are venomous. Most weave a deadly trap in the form of a web. Females are usually larger than males. Procreation typically means death for the male. Spiders are good mothers and stay with their eggs until they hatch. Some carry the eggs on their bodies until they hatch. One spider commonly found in English gardens lets her young prey upon her body – the ultimate sacrifice. Spider must shed its skin in order to grow, much like the snake. Another thing that spider and snake have in common is people’s instinctive negative reaction toward them. Spider and snake are remarkably similar in symbolism. Spider is creator; she is death. On a Freudian level spider embodies woman. She is the creative force, weaving the designs of life and fate. Spider is associated with words and communication. Spider bestows the power to work magic over people and things. By weaving, it gains a certain element of control; once the prey is wrapped up, this control is complete. Some find the eight legs and body shape in the form of an eight significant; numerology equates spider with the symbol for infinity. Spider is the totality of the life cycle – the beginning and end. The medicine of spider should be called upon when one feels trapped. If a web is destroyed, spider recycles it and weaves it anew. So spider allows the individual to assimilate negative experiences and use them for gain. Spider’s appearance can symbolize one’s fear. When she arrives, it is time to confront one’s phobias. Suppressing them without confronting them means they are sure to surface later. Spider allows one to contact one’s deepest wisdom and nurtures a sense of connection and integration at all levels. Her web symbolizes the tying together of loose ideas into a tidy package. The spider person has two speeds: motionless and lightning strike. The spider person can have a stinging bite when angered. Deceit is the negative side of spider personality. A web of rumors, gossip and lies can easily be woven. The person with spider energy may be ruthless and once incited to attack, the punishment is decisive and lethal. The lesson of the spider is maintaining balance – between past and future, male and female, spiritual and physical. She teaches you that everything you do and experience now is weaving what you will encounter in the future. The spider awakens creative sensibility. She reminds us that the world is woven around us; we are the center of our own world. Because of its characteristics, mystics and mythology associate spider with three expressions of magic – creation, assertiveness and the connection between past and future. Are you weaving your dreams into reality? Are you moving toward a central goal or are you scattered and going in multiple directions? Are you becoming too involved and or self-absorbed? Are you focusing on others’ accomplishments and not on your own? Do you need to write or draw and are not following through? Are you developing resentment because of it – for yourself or for them? Remember: Spiders are timid, delicate, agile and much of their creative energy is expended in the dark. But when the sun hits the fruits of spider labor, they glisten with intricate beauty. If a spider drops from the ceiling onto someone’s face, good luck and money will follow. If you see a spider spinning its web, you will soon receive new clothes. Animal Wisdom: the definitive guide, Jessica Dawn Palmer, pp. 313-320. Animal-Speak: The Spiritual & Magical Powers of Creatures Great & Small, Ted Andrews, pp. 344-347.